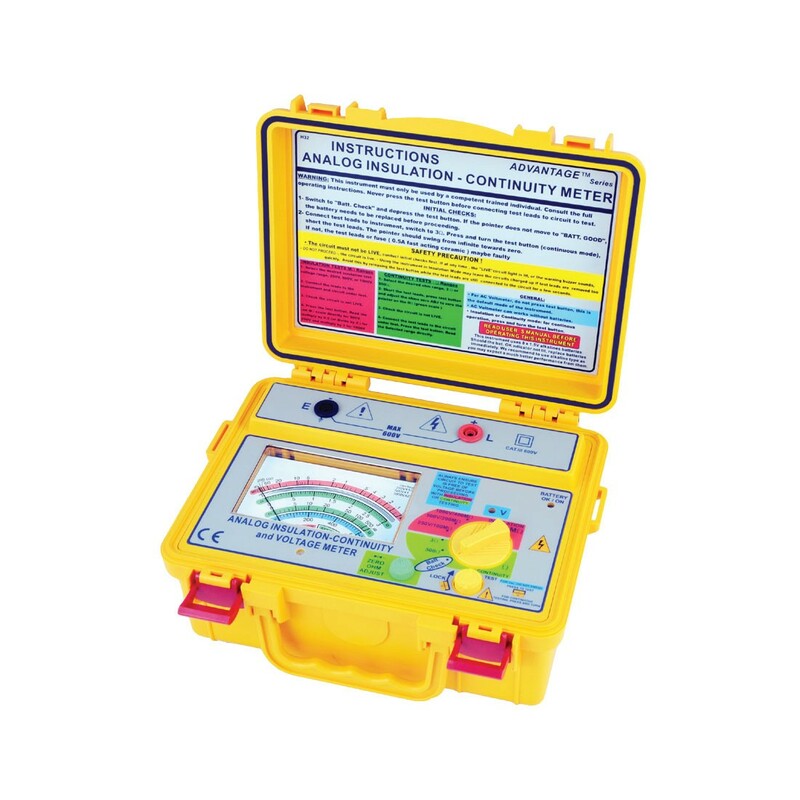 Analogue (Up to 1kV) Insulation Tester. Three insulation test voltages(DC) : 250V, 500V, 1000V. Two continuity test on "low ohms" : 3Ω & 500Ω. 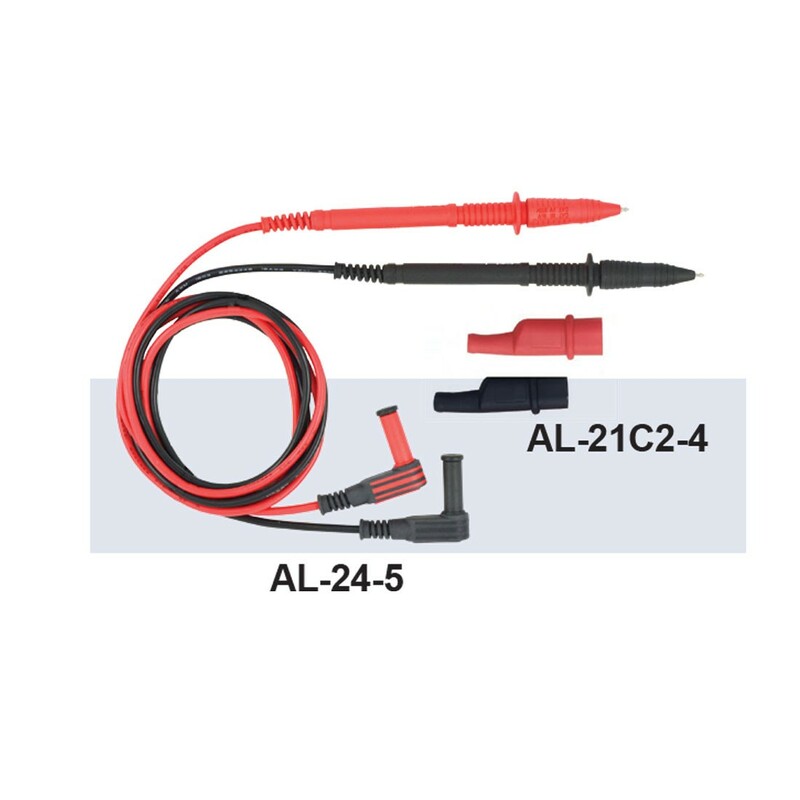 AC voltmeter with linear scale up to 600 Vac. 200mA continuity short circuit current. 1mA test current on insulation test at nominal voltage. Automatic discharge of capacitive and inductive circuit with charge stored in the circuit under test. Live warning and display or external voltage presence. Fuse, air gap, crowbar and overload protected. On line battery monitoring shows if battery is ok.
Push and turn locking switch for continuous and hand free testing. Designed for meet international standards.